December 4th, 10:00 to 13:00, 6th floor. This Monday morning workshop at Escola da Cidade will serve as a starting point and introduction to all participants to be expanded for subsequent encounters, one in the Mauá Occupation during the afternoon and then others at participating Favelas until 12th December. 10:00 – Presentation of the city school. 10:30 – Nelson, leadership of Mauá occupation, introduces CSM. 11:00 – Elizabeth presents the activities that will be offered by CSM. 11:15 – 13:15 – Anthony, James and Liz present: Photogrammetry, Mazi, Active Archiving for political fights and Do it Yourself cataloging . December 4th, 13:00 to 18:00, meet at Mauá Occupation. 13:30 – Collective lunch in Mauá occupation. 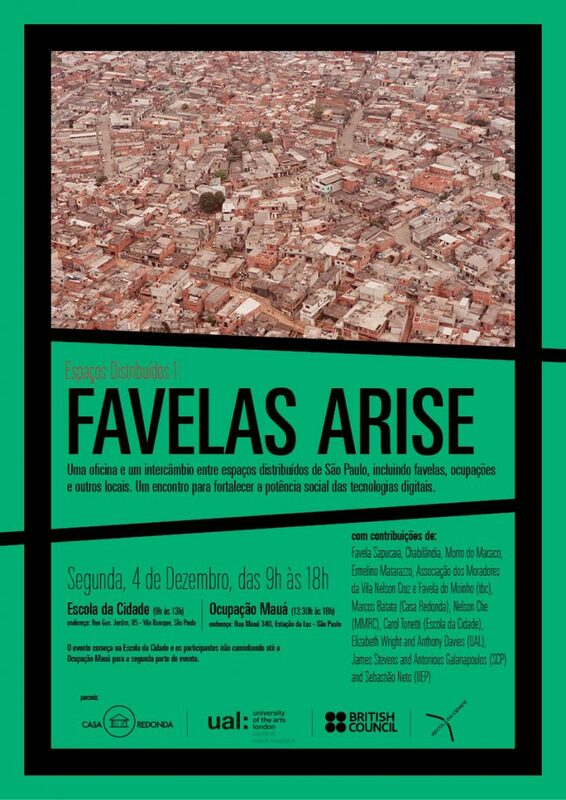 16:00 – 18:00 presentation of cultural activities of resistance from each favelas community. Fraternization and exchange of ideas between CSM and the favelas and all of the event before Nelson, Batata, CSM and favelas community close the event. Two students from the city school, among them a representative of the Favela Association of villagers of Vila Nelson Cruz, will participate in the activities to document and report the process over the three encounters, producing material that serves as a substrate for the development of Future research proposals under the Scientific Council. 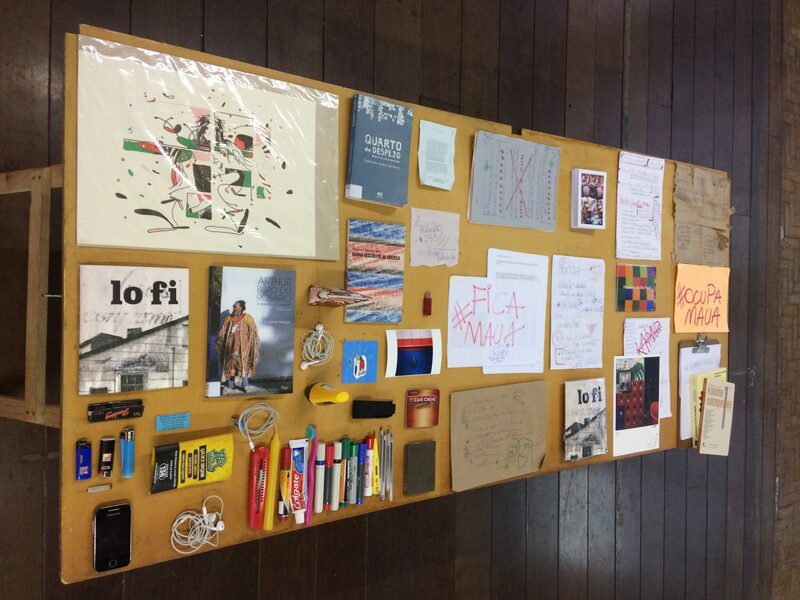 The meeting will be open to all students and teachers of the city school with a view to expanding and rehearsing possibilities for the deployment of this bilateral research network between Central Saint Martins, London, and School of the city, in São Paulo.